This will not be well written as I am rushing to the airport but I just had to tell you that I have been ruined by the glory that God demonstrated last night. They were standing in line outside before 6PM. The sick, the addicted, the radically saved all standing together waiting for what they believed would be a demonstration of miracles. As I stood before the people I was struck by the hunger for God and so I immediately began to make my plea for those who needed to be born anew to obey Christ and be saved. Here they came by the dozens. Every race, every age group and every background was represented in the group that came to repent and be set free. The audience was overtaken by celebration as they witnessed loved ones, and friends and those that some had been praying to be saved for years now stood weeping their way into the kingdom of God! All together the harvest was over 60 souls but only God knows the real number. Before the meeting the Holy Spirit alerted me to the fact that a woman would be healed in her abdomen. The description of a suffering young woman unfolded in my spirit. As I told the people I discovered that I knew exactly who she was! She was sitting in the second row and now I was ordered to relate to her what the Holy Spirit had told me. She began to weep for joy because she knew that her time of unspeakable suffering was ending. Now healings broke out all around me. I kept feeling the unworthiness could only get peace by forcing to the audience to look at Jesus and not a man. Before the night was over at least 70 people would stand and admit that they had been healed. An older man sat to my right. He looked detached from the meeting. It was not that he didn’t love God or was not being blessed; it was a battle in his body. A stroke had taken some of his speech, movement and had also damaged his heart. Again, I am consumed with my utter helplessness and how clearly everything that happens must be God or nothing will happen. I walked to him and spoke to his wife to verify every detail of the word of the Lord. It was undeniable. She began to weep and place a gentle hand on her husband. Then it happened! He began moving his arms, now bolder he stood and began to move his legs, now completely healed he took off running and jumping. Pandemonium broke out in the crowd. What could possibly top this? Well, I can tell you that it was the meeting with pastors afterward. God had fallen on their region answering decades of prayer. They agreed to work together, they exchanged phone numbers and began to work with God to advance the Kingdom! We are returning to Portage October 12-14. We already know that it is going to be in a larger venue and there will be historic breakthroughs. 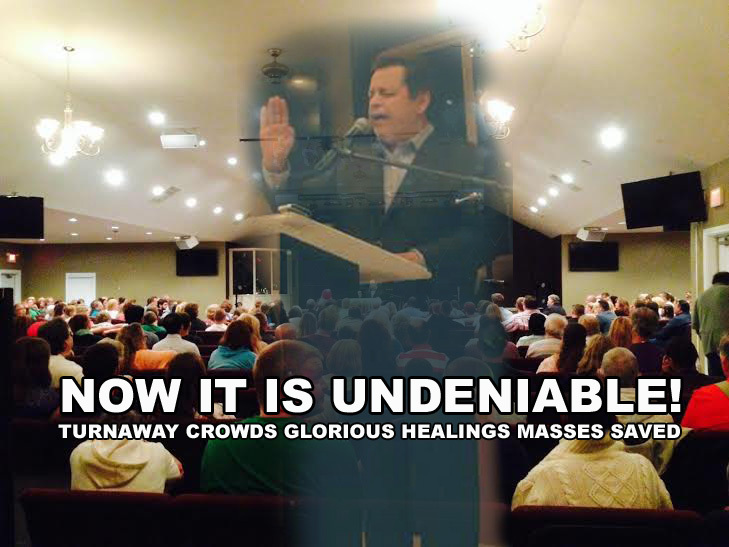 Now it is undeniable in Portage Indiana: Turn away crowds, abundant healings, and a great harvest of souls. 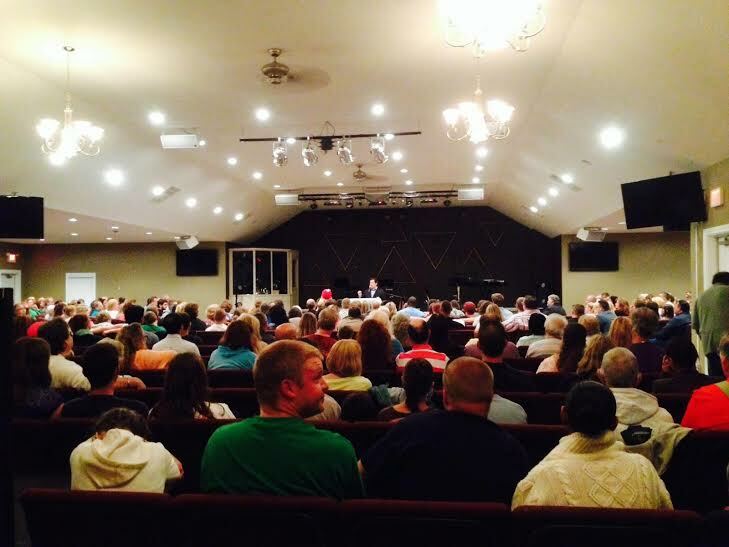 If you could pick one night for your beloved skeptic to be in church…this was that night. Miracles did not just happen, they overwhelmed, they sought out people, they overpowered doubt, they cancelled religious notions and obliterated disease, pain and spiritual wounds…it seemed that God was not fighting fair. Oh how the people sang! Voices raised in glorious praise as every seat filled until no more could fit in the sanctuary. They sang the chains off! They did not care about race, religion, gender or age…it was all about singing from humble hearts, who believed no matter what the need they would never be the same. No hurt was too deep, no sickness was too strong, no problem too big for the God they worshiped. Mario only preached as long as the Holy Spirit would allow in this electrified atmosphere. He told of the Jesus who has never changed or suffered a power outage. He declared the Name that would eject devils and destroy disease. All of the evil of these times could not stop God from blessing, healing, loosing, releasing and saving. The call to come to Christ came early in the night and before we knew it scores were standing at the front to receive the greatest miracle of all! The sinner’s prayer was clear and forceful no doubt wafting in the air and out into the surrounding community. People nearby must have heard and felt conviction as they cried “Jesus save me now, I repent of all my sin.”! If only the people could speak for themselves! They would tell in detail of this unforgettable night. Take the woman who hesitated to respond for several minutes when called out for explosive pain in her head. When she finally stood it just made it all the more amazing as power overtook her. When she obeyed God the atmosphere changed the people were transformed. Now Jesus directed His love to a man who was stunned that God would love him so much to describe every detail of the disaster in his body. A ruined heart, dulled hearing, bones deteriorating in his arms, legs, knees, a cacophony of pain and weakness evaporated on the spot. Next was the spine healing of a young woman due for surgery for scoliosis. Overtaken by gratitude, she sobbed to realize that God had named her disease and gave her His touch. Oh but it was not just the body that God healed it was spirits. People were singled out for a miracle in their broken hearts. It stunned us all when a mighty deliverance was called out and received. Now it became a cloud of healing settling over the entire audience. Rivers of power swirled, yea raged and took up the crowd in its current. Shouts of “I’m healed,” rang out, outbursts of joy as sickness after sickness was evicted from bodies. Dozens healed in their abdomen, heart, lungs and limbs. Again and again we would hear and see those who had received healing give God the glory! Indeed God did not fight fair and I say AMEN to it! Hundreds are fasting. They are on their way to the meeting two hours ahead of time. It is going to be another night of glory!!! 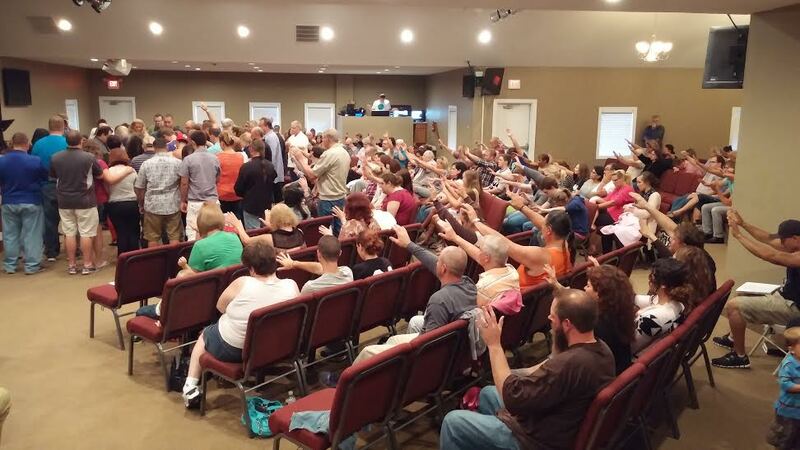 230 souls saved yesterday in Indiana. 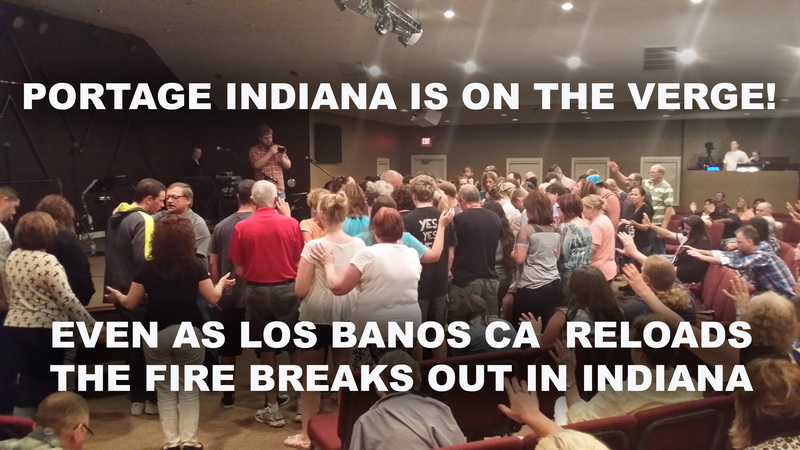 We had just started to cope with the glorious events in Los Banos when a new revival fire breaks out in Northern Indiana. Now there is no doubt that God is moving nationwide through Mario Murillo Ministries. We will return for meetings in Los Banos on September 7th but the people aren’t waiting they are meeting in different churches, getting ready for a prayer walk with upwards of 500 people and making preparations to bring masses of lost souls to the September rallies. The schedule that Mario had yesterday was beyond demanding. He flew to Indiana on Saturday night and had to speak on Sunday at 8:30AM, 10 AM, and 11:30AM followed by a miracle rally at 6PM. The three morning services were at Road to Life Church in Chesterton with pastors David and Vanessa Gargano. 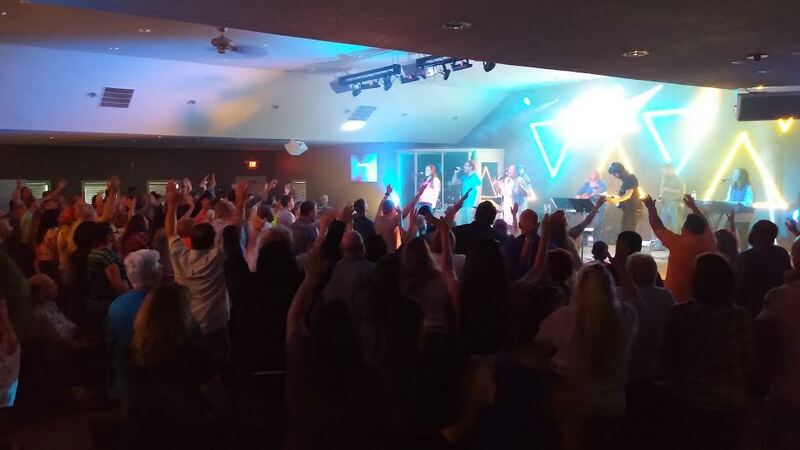 This church has hit over 1,000 in attendance in just two years. This is not just church growth it is a move of God. The Garganos are cooperating in the regional outreach of MMM that began in nearby Portage at City Point Church. 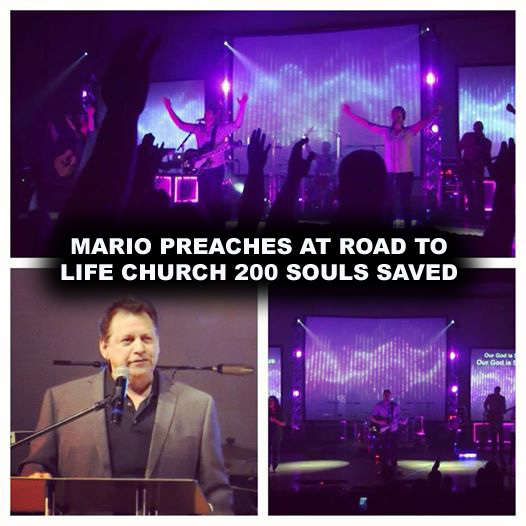 In each service Mario preached an uncompromised Gospel. The hunger for Christ in the people was unmistakable. By the end of the third service 200 people had come forward to receive Christ. At 6 PM Mario ministered yet again. The crowd in City Point Church expected miracles and they would not be disappointed. Wonderful words of knowledge came by the Holy Spirit healing people all over the church. It was glorious to see one woman almost delirious with joy trying to explain how it felt to be free of pain, weakness and dizziness after 12 years. 25 people surrendered to Christ in this 6 PM rally. Again, the entire crowd reached out and received healing power. The current of healing grew so strong that it overcame us all. The same fire that rages in Los Banos CA is also in Portage. I knew now that whatever strays into the path of this raging locomotive of revival in Northern Indiana will be mowed down! The vision of Mario Murillo Ministries to bring Living Proof to America is going nationwide. Revival fires blaze on the West Coast, the Midwest and in a few weeks Mario heads for New York City! 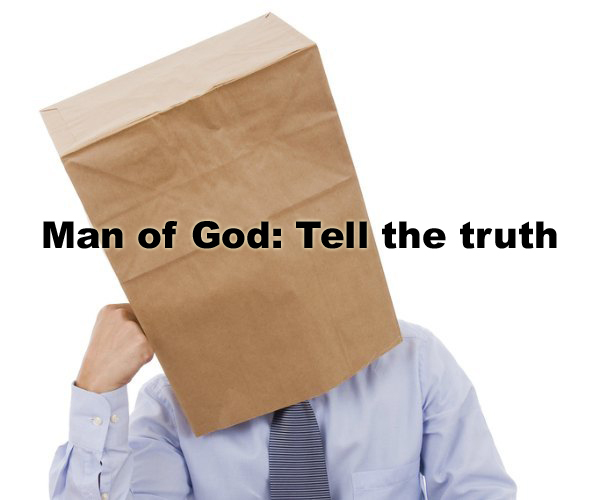 Man of God: Tell the truth. So I asked how he felt about his silence. “I feel sick” he said. I asked, “How sick?” He did not answer but the pain in his eyes showed that he was deeply conflicted. This is a good man who sincerely wants to do what is right. So I made points about why he must speak out. A man of honor will never withhold truth because of personal consequence. Claire Delacroix said, “No man of honor avoided what needed to be done, simply because it might not proceed in his favor.” Honor has become cheap. Honor is not hospitality or flattery. It means courage and loyalty to the truth in the face of great personal cost. Preaching must proceed from the things that are important to God and not the audience. There are issues that are urgent to Him. He must see that you are willing to discern what is important enough to address. How can you expect God to speak to you if He already knows you are going to run His Word through a filter? There is still time to save the country. This is the biggest reason to speak out. The ongoing destruction of freedom of speech and of religion has happened because God haters marketed a great lie to the masses. That lie is wearing thin and slowing down the takeover of our freedoms. Now is the time to hold their feet to the fire. We have not yet been driven underground. We are not yet being forced to draw fish symbols in the dirt or huddle in catacombs. Audiences are ready to listen to common sense preaching. We must seize the moment. Jesus said I John 9:4 I must work the works of Him who sent Me while it is day; the night is coming when no one can work. You should never speak out on certain controversial issue unless the Spirit of God compels you but you are asking too much when you say that God has not moved your heart to speak out about our government’s overreach and persecution of Christians. Oh and by the way, the IRS does not want to enforce the 501C3 gag order on Churches because they know it will lose in the Supreme Court. 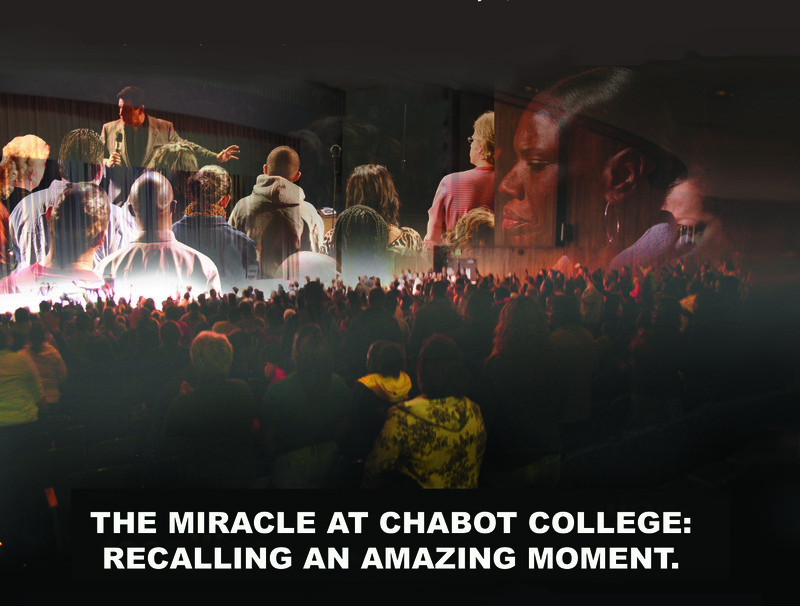 Back in 2008 something historic happened at Chabot College. We look back at the amazing moment. Chabot College is neither the largest nor the most famous college in America. Yet, there was a breakthrough here that has far reaching implications and special meaning to you. In fact, I want to explain the special meaning even before I give you the report of the souls saved and bodies healed. When the audience came into the auditorium, their nervousness was evident to us all. The talented worship team from Faith Fellowship in San Leandro brought the presence of God into the hall. We thank Pastor Gary Mortara for lending us his mighty worship team! Then Helen Baylor sang and shared her amazing story. A blanket of God’s Spirit fell upon the audience and opened their hearts. Helen was the perfect gift to prepare these young souls for the Gospel. Meanwhile, I was pacing backstage feeling the weight of my sermon. The Holy Spirit had prepared me to preach a message on the resurrection of Christ. There was to be no apology or mincing of words. My order was to simply show them the resurrection of Jesus. There could be no revision of Christ for the sake of modern skepticism. 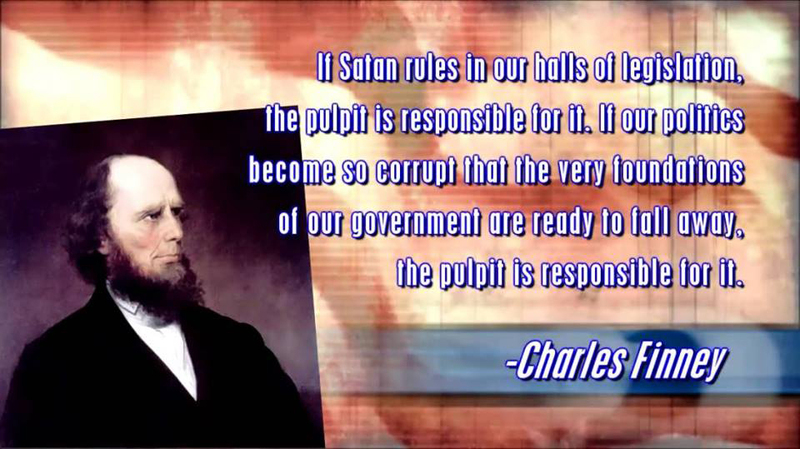 He was not a “great moral teacher” or “social reformer.” He was the Risen Savior of the World. I declared that the same power that raised Christ from the dead would save their souls and heal their bodies. Not knowing what to expect I made a public call for them to come to Christ. I knew that Satan put new deceptions on this generation to harden them to the Gospel. However, all of them were neutralized by the power and love of the Holy Spirit. The cost was clear. They would have to demonstrate in front of everyone that they wanted to follow Jesus. This is when the convicting presence of God was evident to everyone. One by one they stood to be saved. 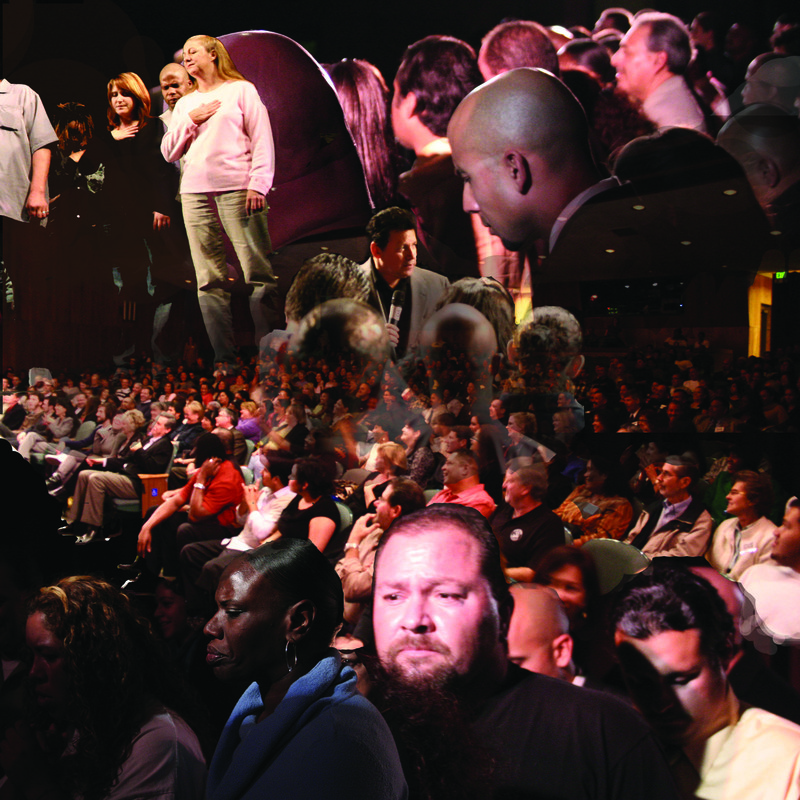 Soon there were scores of people heading to the stage to be born again. Demon power broke, habits disintegrated and broken hearts were mended by the power of Jesus. I will never forget the looks on their faces as they stood onstage and asked Jesus to take control. There were untold stories of tragedy and emptiness written in their eyes. No one can calculate the amount of pain and despair that they were trading in for resurrection power. If what happened was amazing, where it happened was just as amazing. This is the heart of the San Francisco Bay Area. This is the epicenter of the national antichrist movement. If laws are written to limit the church, they will be written here first. This is the place where you will find the most zeal to build a totally secular, global village. Every honest believer in this region knows that the Church in the Bay Area is at a crossroad. Her witness is under the greatest assault ever. If she ever takes a stand it must be now! Now it was time to take another critical step in this rally. We had to minister to the sick in the audience while the newly saved received ministry in the counseling area. How I thank God for the hundred plus army of skilled workers that were provided by Pastors Mark and Brenda Thomas who lead Heart of the Bay Christian Center. More than any other church, Heart of the Bay Christian Center sacrificed to make this outreach possible. Now we felt very much at home in the Performing Arts Center. God had transformed it into a temple of the Holy Spirit. I exhorted the crowd to reach out and take the miracles of healing that Jesus was offering them. There was no hesitation. Because of the layout of the seats it was best for us to minister to people right in their seats. This did not stop God at all. Dozens of people rose from their seats and demonstrated their healing to the rest of the audience. Truly, God was there to heal every kind of disease. As I said before, the church in the Bay area is at the crossroads. Miracle based believers will stand against the tide of persecution! This is the breed we need in the Bay Area and all across America. What happens in Los Banos now? I have already gone on record as saying that this is the greatest revival spirit that I have ever seen. So we just keep going this week right? No actually we are going to wait until Sunday September 7th. This makes no sense. Stop the rallies at the peak of momentum? How can you stop when multitudes are being saved and healed? In the natural it makes no sense but in the world of the Spirit it makes perfect sense. This is because a strange and wonderful guidance from the Lord has come about Los Banos. These last few weeks were but a taste of His glory. He is providing a short period of preparation for the real glory and the real harvest. 3 Kings needed water for their armies to avert disaster. The prophet Elisha was called to save the day. They fully expected him to lead them to water but instead he said, “Make this valley full of ditches.” God wanted them to make a container for the miracle! God had to stop us! 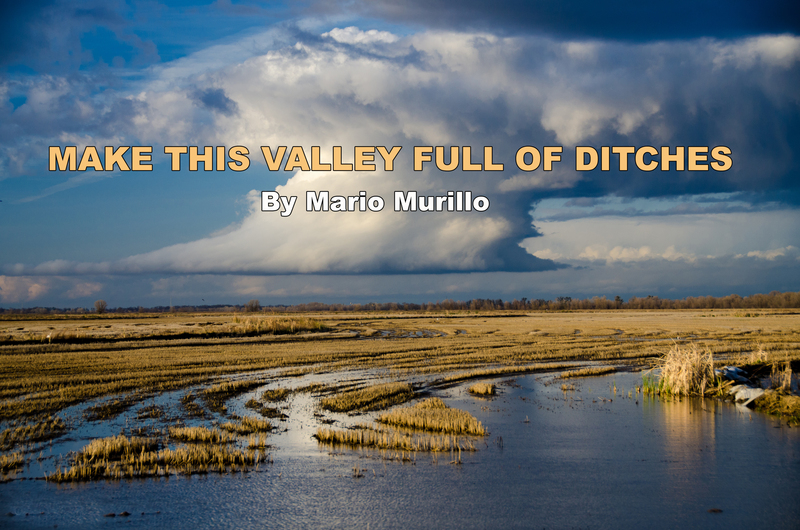 Holy Spirit is saying to the army in Los Banos, “MAKE THIS VALLEY FULL OF DITCHES. We are to dig ditches to contain the massive miracle that is coming. By stopping we are not retreating we are advancing. What do these ditches look like? We dig ditches in prayer, planning and preparation. If hundreds are saved we need to make nets to contain the catch. If meetings go on night after night we need to pace ourselves so that we do not grow weary in well doing. And finally, we must dig in and brace ourselves for the unexpected onslaught of the enemy. 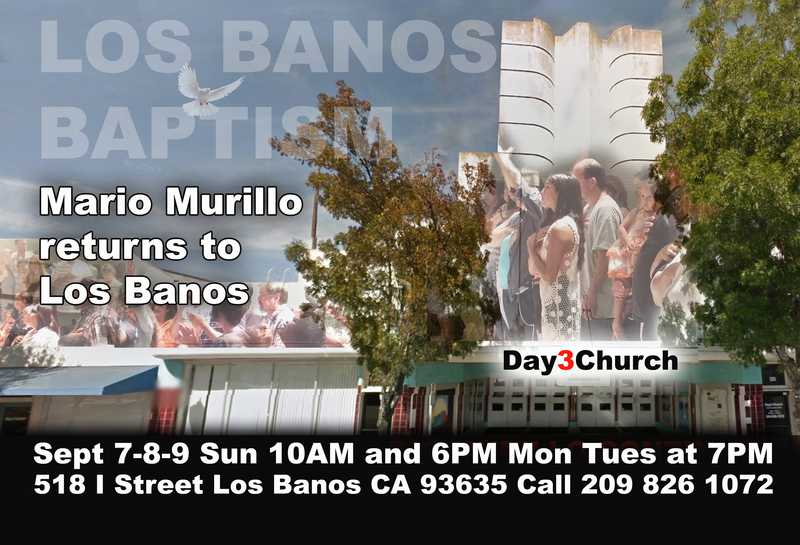 The next few weeks are crucial to the outpouring of God Los Banos. We are making the greatest statement of faith imaginable. Here is our confession: “Lord You are about to send us rain, harvest and blessing on a massive scale. We are going to contain it! This is an opportunity that we cannot waste. God is about to show up on a level of power that is like nothing any of us have ever seen before. 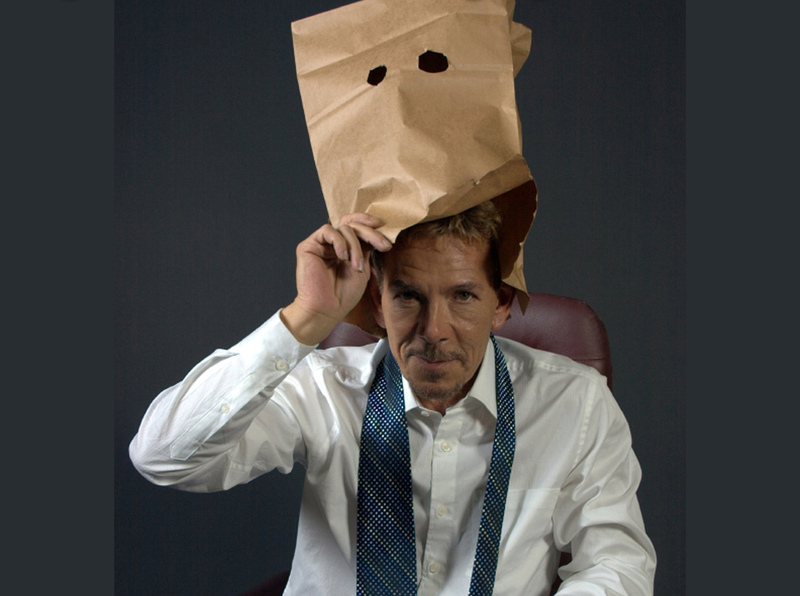 Pastors do not shrink back from your duty! Ignite the people, give them their marching orders. Tell them it is now or never. MAKE SURE THAT YOU GET INVOLVED! CONTACT ANY ONE OF THE COOPERATING CHURCHES FOR UPDATES ON EVENTS COMING UP BEFORE SEPTEMBER 7TH.